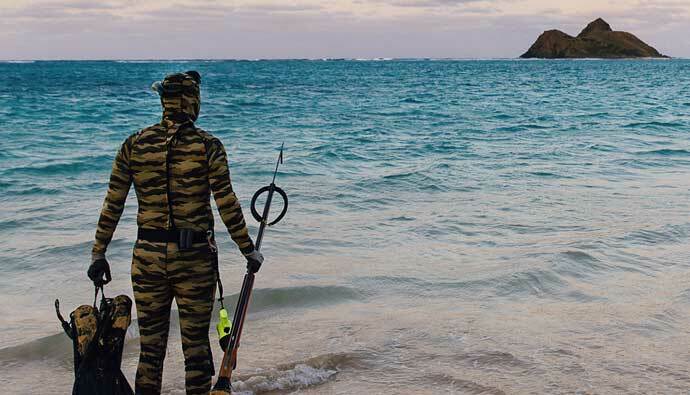 There are two types of spearos (people who like spearfishing), ones that jump head first into the sport and the others who step back and learn a few spearfishing tips before venturing out. Nothing beats experience, however, you’ll benefit from learning what has worked in the past then refining your technique to find what works for you. Bonus Tip: Make sure you have the right spearfishing gear for the dive. The key to successfully locating game fish is developing a sense of where fish are. When you start thinking like a fish is when you will start seeing more fish (and therefore increasing your chances of shooting the fish). There are many facets of spearo diving and each presents a new thrill and excitement to the sport. Let’s dive into the different variations! A majority of the time spent in the water in the early days of becoming a spearo will be spent hunting from the surface. You might think that it’s not the real deal, but many advanced spearos will tell you that they’ve taken some remarkable fish near the surface. Don’t worry, eventually, you be diving quite frequently and at depths, you never imagined you’d be, but until then, let’s learn more about surface diving techniques. It’s important to remember that your view is limited due to your freediving mask. That’s why you should imagine your head is on a swivel and you should be looking in all directions at all times. Don’t forget to look behind you from time to time…you never know what’s stalking you. If you shoot from the surface, you are most likely going to be shooting downward. This will increase the speed of your shaft due to gravity, which is a good thing when shooting a bit further away. The downside will be the area of fish to aim at will be lower than if you were at the same level as the fish from the side. Who said you had to dive to catch big fish? 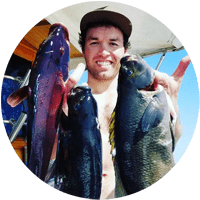 But eventually you’ll want to explore below the surface, so let’s take a look at what mid-water spearfishing is all about. Remember that each dive you take uses energy because you’re stressing your body to move your muscles on a single breath of air. Here we’re covering how to dive to the mid-water level around 10 to 20 feet and cruise around hunting fish. Terry Maas recommends in his great book Bluewater Hunters, that you should be aiming to be down for 75 seconds and recovering for 75 seconds on the surface. Preferably you are with a buddy who will watch you while you’re down and vice versa. If you’re not able to stay down for 75 seconds, don’t fret, just stay down as long as you’re comfortable with and make sure to give yourself at least 15 seconds to ascend before running out of breath. Always err on the side of caution while diving. Diving and cruising in 10 to 20 feet of water are great when you are in kelp or near the kelp edge and want to hunt fish that are hanging in the mid-water or are near the bottom. Depending on the day’s visibility, it’ll be hard to see fish past five or ten feet, which will require you to dive down and look around horizontally. You’ll notice that the water visibility increases when you are looking horizontally instead of vertically, so do yourself a favor and dive down to increase your chances of seeing fish. If you can hold your breath for a decent amount of time, it’s worth diving to the bottom and waiting for fish to swim to you. Depending on the fish some can be more skittish than others. Make sure you check out this fish guide to know what type of fish you’re going after for the day. When you are swimming on the surface or moving around this could make the fish hide from you. Therefore, if you dive down to the bottom and wait, eventually the spooked fish will come back to their original hangout and you can take a shot. Sometimes they even swim right up to you for a point-blank shot. Try to be as still as possible so you blend into your surroundings. Some spearos even recommend not staring directly at the fish until the last moment as to not spook them inadvertently. The goal here is to get on the same level as your game because when you are shooting down on a fish from up above, the target is much smaller. It is easier to line up a shot when you are at the same level, and you will have a bigger target to hit. It is recommended to try for a “kill shot” whenever possible. If you aim for the lateral line, that’s where the spine of the fish is. If you hit the fish in the spine, it’s a kill shot. The dirtier the water, the spookier the fish. Just like it’s scarier to dive in the water you can’t see, the fish feel the same way and will be more cautious of their surroundings. When the water is rough, make shallow dives under the surface. Staying at the surface can make it difficult to hunt as water will splash into your snorkel. Don’t get seasick, it’s not fun and does happen in swells. Don’t swim at fast-moving fish (swim with them if possible). The amount of time you have to get lined up to aim is not a match for a fast-moving fish like tuna. 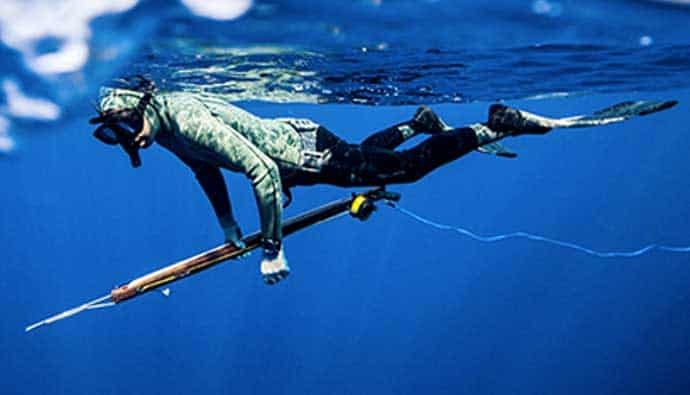 Make sure you have a big enough speargun and the right equipment for the kind of game that you are hunting. Don’t go after a 50-pound white seabass with a 50-inch speargun and no reel or floatline…it’s a sure way to lose your equipment or put yourself in a dangerous spot to get injured or worse. Clear the bubbles out of your suit before you get into the fish area (right when you get in the water is best). If seen people put holes in the hood of their wetsuit or during their first dive open a part of their wetsuit to let the bubbles escape. Remove your snorkel before your dives in order to avoid creating bubbles. Once bubbles are created, it will for sure spook any fish in the immediate area. Try not to make any splashes when you dive (for the same reason as not creating bubbles). Try to stay relaxed, enabling you to have longer dives. Being tense uses extra energy and if you think about how many times you dive throughout a 3-4 hour period, the inefficiencies add up. Be like water. Be aware that the fish will come to you if you are in harmony. If you can think like a fish, remove any excess tension from your mind, and enjoy the moment, the fish will not be spooked as much. Many beginning spearos use a fishing spear (check out our fishing spear guide) because they are cheaper than buying a speargun. Just because they cost less, doesn’t mean they can’t be effective with the right technique. 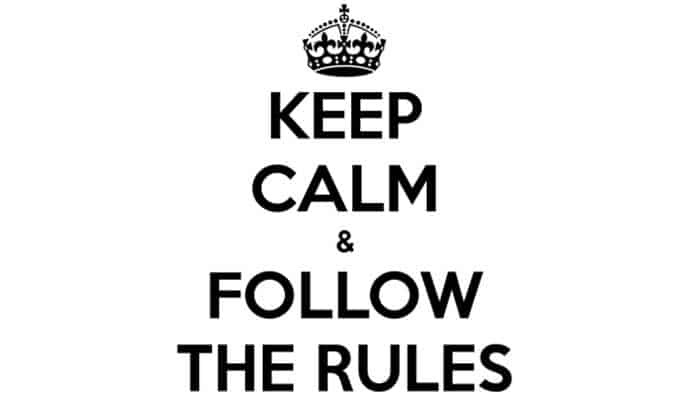 Here are some general pole spear rules of thumb to help you get started. Think of the pole spear as an extension of your arm, not a tool attached to it. It will shoot where you point it provided you’re pointing it like it’s part of your arm. If you bend your wrist then you’ll not have the right structure necessary to stabilize the load and your shot will be off. Make sure you fully let go of the spear. Many spearos try to feather the pole as it flies because you feel like you’ll lose the pole. By doing this, you are actually slowing down the pole spear which limits penetration power and can lessen accuracy. Use your non-shooting arm to steer your body. By gently extending the non-shooting arm by your side, you can use this to balance yourself out while aiming. Twist the pole a quarter to half turn while loading the band. This has been said to help reduce flexing of the shaft under load. Make sure you have enough weight in your weight belt. When using a pole spear, you’ll need to get close to the fish and this is much harder at the surface. Practice shooting on floating objects. Some spearos like to take out plastic water bottles or even sausages to practice shooting them at the surface while they are in between dives. Practice makes perfect. Some spearos also like to practice shooting shells on the seafloor since reloading a pole spear is quick and easy. Pole spearing takes a lot of patience. Find your zen. You’ll have to wait for fish to come into your range, so make sure you know exactly what your range is for your pole spear. Don’t practice shooting on fish. If you’re going to shoot a fish, make sure it’s legal size within your state or country’s regulations, and with the intent to eat it after it’s killed. Take care of your elbow. Loading up a heavy band repeatedly over time can stress that elbow joint. Make sure you do the proper prehab and rehab on the joint before and after use so you can use the pole spear long into your old age. 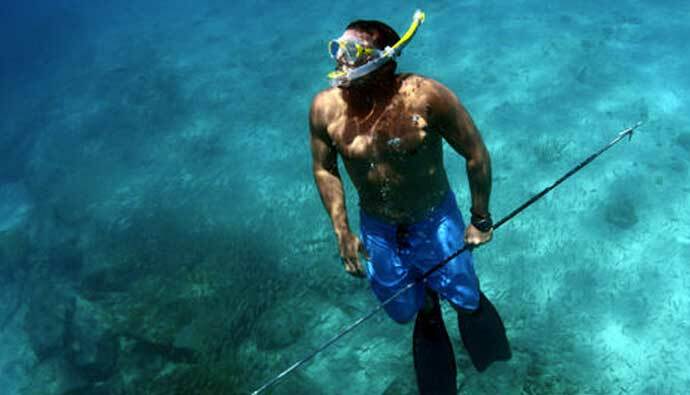 The following are some rules of thumb for beginning spear fishing practictioner. Never extend a dive too close to your limits. And be aware of your limits. Give yourself enough time to come to the surface. Always leave enough down-time cushion. In other words, don’t push your limits. Do your homework before your hunt. If you can, try to get a report from either a website or other divers to know the conditions. The worst is traveling to a spot only to turn back or feeling obligated to dive in bad conditions, which can be dangerous. Use only appropriate equipment for the game you are hunting. If you are going after small fish, you can use a small spear gun or a pole spear. If you are going after big fish, you need a bigger speargun and a reel or a floatline and a float. Ask for help if you need it. No fish or record is worth dying for. Never point a loaded spear gun at anyone. Always keep the safety on until you get into the hunting area. Some spearos chose not to use a safety, therefore, make sure you alert your dive buddies ahead of time and be extra careful to make sure no one is around you while the gun is loaded. Dirtier water tends to have spookier fish. Empty the bubbles out of your suit as soon as you enter the water. Spit your snorkel out before diving when diving on spookier fish (such as White Seabass). White Seabass are skittish fish and any noise will spook them. Reduce all potential noisy actions if possible. Avoid playful sea lions and other marine animals. Remember that all animals in the wild are WILD. They might seem cute until they attack. Don’t approach against the motion or flow of your target. Try to intercept the direction the fish is going (don’t swim at the fish). Approach your target as gradually and smoothly as possible. Pick a shooting point and swim to the point. Direct your spear gun to a point and let the fish swim into position. Avoid making eye contact with your target. Feel your shot (don’t aim your gun). 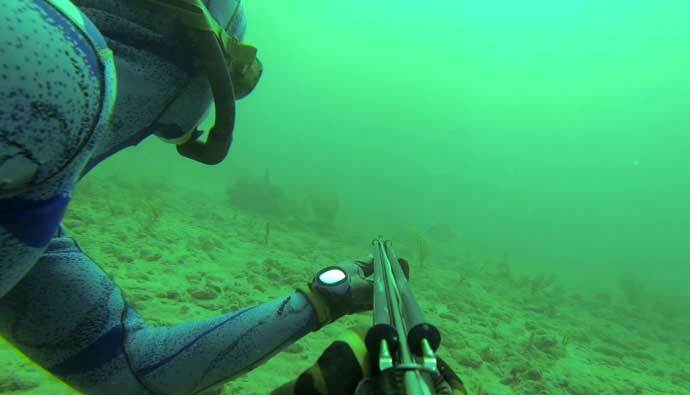 Once you get your speargun dialed in, then you will start to get a feel for it. IMPORTANT: Don’t point a loaded speargun at anyone ever. The faster you clean your fish, the longer it’ll keep, plus they’ll taste better. Some spearos bleed the fish right after braining them in the water. This is a good method as long as there are no sharks nearby…be careful. A bonus for keeping fish is to vacuum seal the filets and keep them in the freezer. When first starting out, you should go to a dive store that specializes in freediving. Most of these stores have people who know what they are talking about and who would be happy to assist you. Eventually, you’ll need to fix or replace pieces of gear, so it’s better to become friends with a shop you trust to get insights. Sometimes, however, you’ll find that gear is cheaper online so use the dive shop as a place to try on and get advice, then purchase it online. 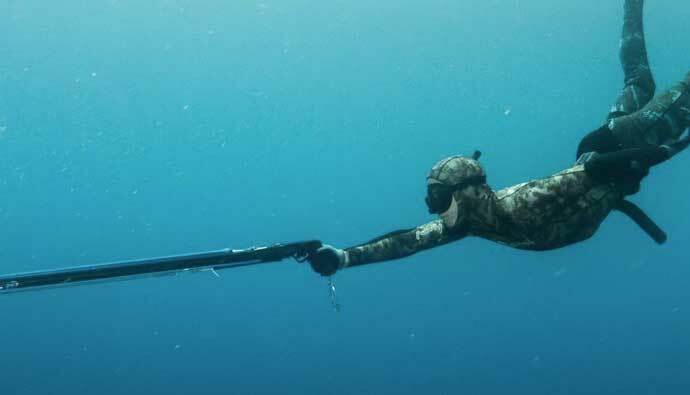 Remember, if you have any questions about spearfishing, ASK! There shouldn’t be any egos involved especially when starting out. Don’t waste time or put yourself in bad situations because you were afraid to ask. Also, if you are a beginner spearo, do yourself a favor and start putting yourself out there either by meeting people at the freediving or scuba shop or joining forums like Spearboard. The more dive buddies you have, the more opportunities you’ll have for safe dive trips. Try to get in the water at least once a week, preferably two. Once you start getting a feel for your local areas, you’ll start to catch more fish. The more spearos we have in the water, the longer we can keep this sport alive and can inform others about the state of our oceans and how to keep these awesome fish plentiful and healthy. When taking a kill shot should you lead the fish as in shoot in front of them or should you take the shot directly at them or does it depend on the movement? I like to aim for their gill plate. If it’s a fast moving fish you could lead them a bit, but it depends on how powerful your gun in, how close you are, how fast the fishing is moving, etc. Try to wait for the fish to give you a large surface area to help increase your chance of a hit. I’ve hit some from the top down, but it’s harder. Broadside shots are better for sure. Thanks for stopping by! 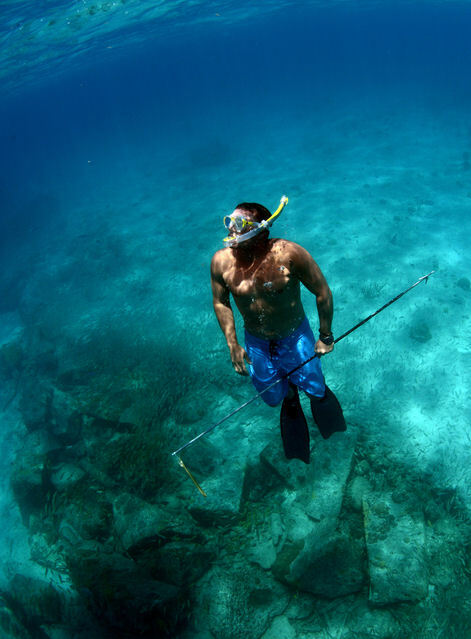 Where are you spearfishing at? 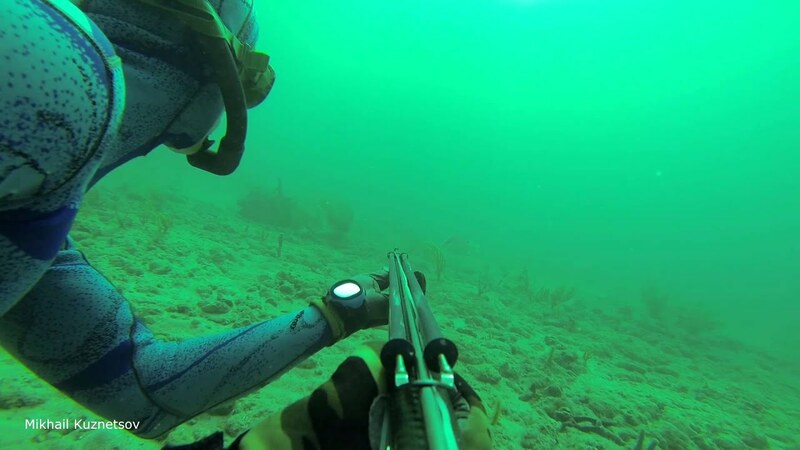 I am doing a school project on spearfishing because I have high interest in spearfishing so I’m in Wisconsin but it is definitely on my bucket list. Awesome man! Let me know if I can help with any more pointers. If you ever come out to Los Angeles, I’ll take you to some spots.